I do not know how this is my very fist Sharpie post EVER because I LOVE sharpies. But it is. 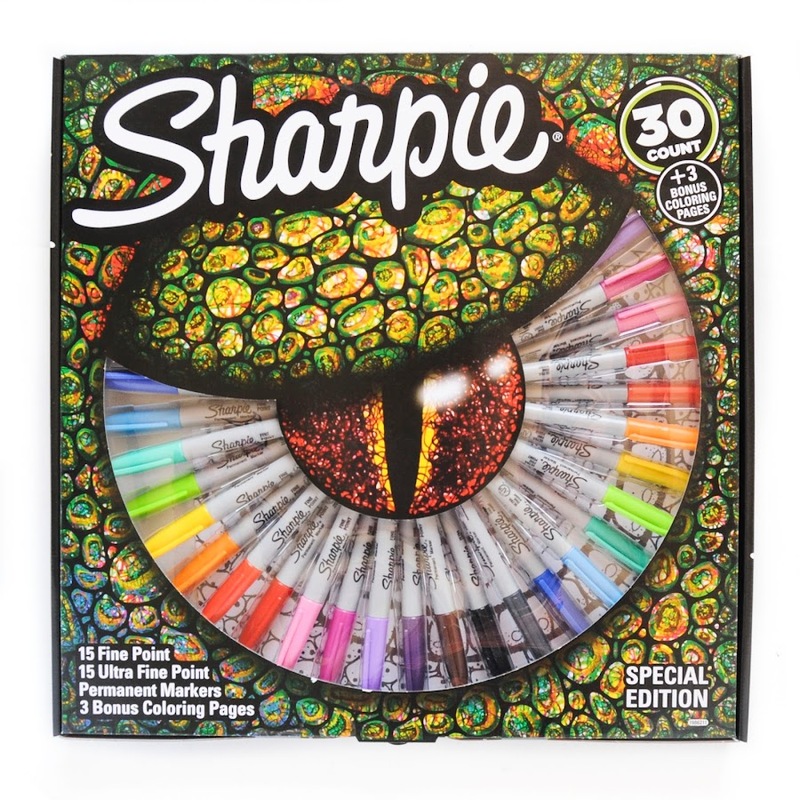 This is the 30 Count Sharpie pack. 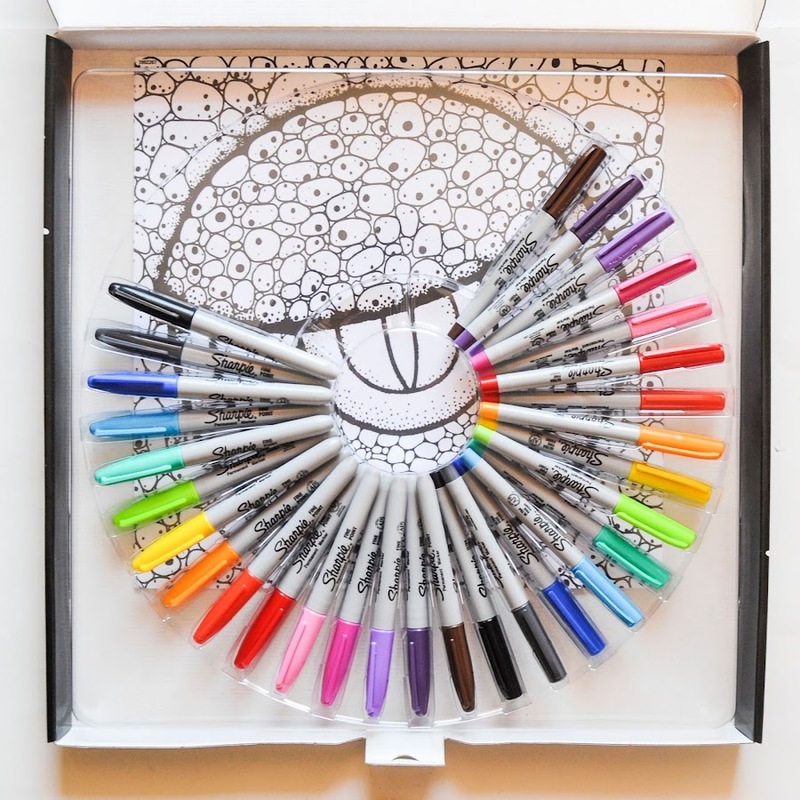 There are 15 Fine Point Permanent Markers and 15 Ultra Fine Point Permanent Markers. The colors are included on the back of the box. If you know me you know I love when they include colors. I can not wait to use these markers to color. 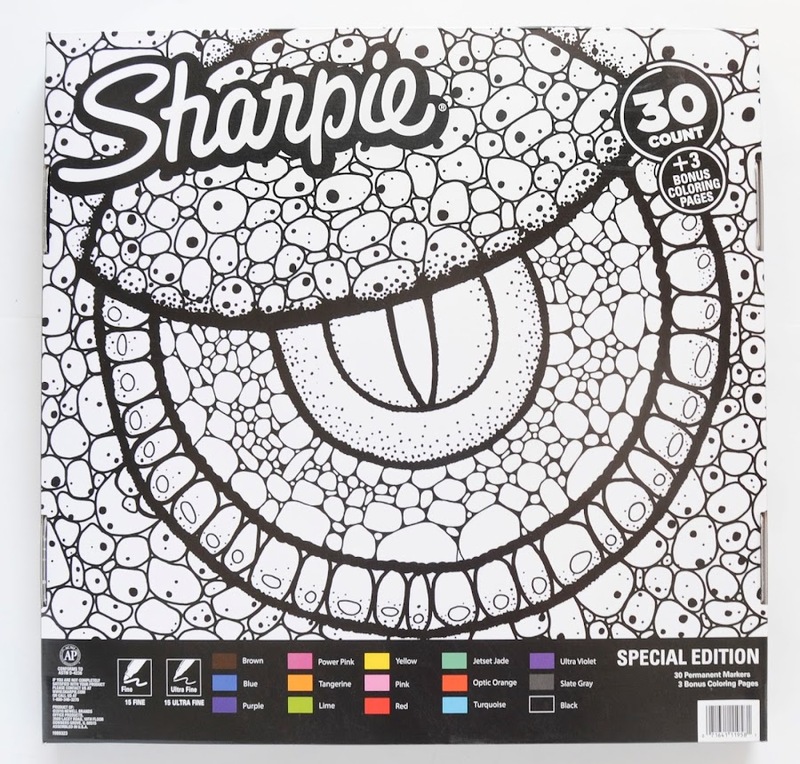 Sharpie ink is super bright and absorbent. These markers will bleed. It is best to color on top of something perishable or not important because it will be bleed through.